Nearly one-and-a-half minutes of footage is missing from a City of Chicago camera’s recording of the fatal police shooting of Cedrick Chatman in January, 2013. Videos of the incident taken by several cameras were released to the public last week after Mayor Rahm Emanuel agreed to make the videos public and a federal judge approved the city’s motion to drop its protective order. A police spokesperson said a technical glitch is to blame for the video gap, which occurred in a city camera’s footage several minutes after Chatman, 17, was shot by officer Kevin Fry, who, according to court records, believed Chatman was carrying a gun while running away from a stolen car. The video gap occurs on the camera, which was located at 75th and Jeffrey, between 1:50:44 and 1:52:10 on January 7, 2013. Videos released by the city show the incident from several camera angles. However, it is unclear if Chatman was holding an object. A Chicago Police Department spokesperson told NBC 5 Investigates the camera responsible for the video gap was an older model that lost its wireless signal shortly after the shooting. The spokesperson said the camera lacked a hard drive and therefore could not record. The city insists the missing video did not hurt evidence collection or impact the Independent Police Review Authority’s investigation of the police shooting. IPRA concluded the shooting was justified because Fry reported fearing for his partner’s life. No gun was found at the scene. Instead, investigators found an iPhone box near Chatman. 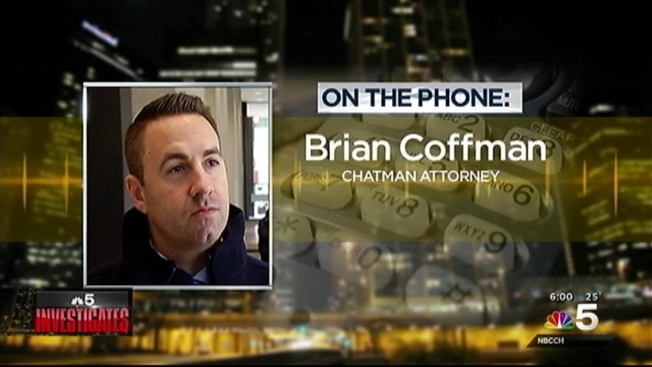 Attorney Brian Coffman represents Chatman’s mother, Linda, who is suing the city for wrongful death. Coffman said the city should have a better back up plan if its cameras lose signals. A spokesperson for the city’s Office of Emergency Management and Communications said the camera in question at 75th and Jeffrey was replaced in December, 2014. She also said city cameras without internal hard drive back-ups are gradually being upgraded. On Thursday, a federal judge tossed the family’s lawsuit against Officer Lou Toth by granting him summary judgment. Toth chased Chatman but did not shoot him. In court papers, the judge said Toth did not know his partner, Fry, was going to shoot. “I think it’s very evident by his reasoning that the conduct of Officer Fry, in this case, was totally unreasonable and highly irresponsible for how he encountered Mr. Chatman and reacted,” Coffman said. Neither the city law department nor a private lawyer representing the two police officers returned requests for comment.